Provide comfort for the family of Marilyn Baldinucci-Miller with a meaningful gesture of sympathy. Marilyn B. Baldinucci-Miller of Scranton, passed away Friday February 22, 2019 at her daughter’s home. Born in Blakely she was the daughter of the late Anthony and Julia Mariotti Baldinucci. A graduate of Blakely High School and Lackawanna Junior College, prior to her brief retirement she was proudly employed by the City of Scranton’s Police Department. Affectionately known as “Mum,” by her entire family, Marilyn was a women of strong faith with a beautiful soul, had a witty personality, and you could always find her with a smile. She lived for her family and was always proud of their accomplishments. She will be missed tremendously by all who knew and loved her. Generous to a fault, she cared about nothing but her family, her grandchildren were the world to her, along with her faithful grand-dog Mikey. Surviving are daughters Jennifer A. Miller, Scranton and Mary Kay Noto and husband Dr. Robert Noto, Dunmore; grandchildren Zachary and Julia, step-children James Miller Jr., Scranton, Marguerite Shevak, Florida, and Melissa Gryner, Florida; sister Norma Elvidge; niece and goddaughter Maria Fiedorczyk; nephew Kevin Elvidge; cousins Marie Ross and Bob Grandinetti, among with many other cousins, nieces and nephews. The funeral will be conducted on Friday at 9:00 am from the Arthur A. Albini Funeral Home 1003 Church St., Jessup with Mass of Christian Burial at 10:00 am in Sacred Heart of Jesus Parish, 1101 Willow Street Peckville. Interment will follow in St. John’s Cemetery, Jessup. Friends and family may pay their respects Thursday from 4-7 pm. In lieu of flowers, memorial contributions in Marilyn’s memory can be made to any animal charity of the donor’s choice. 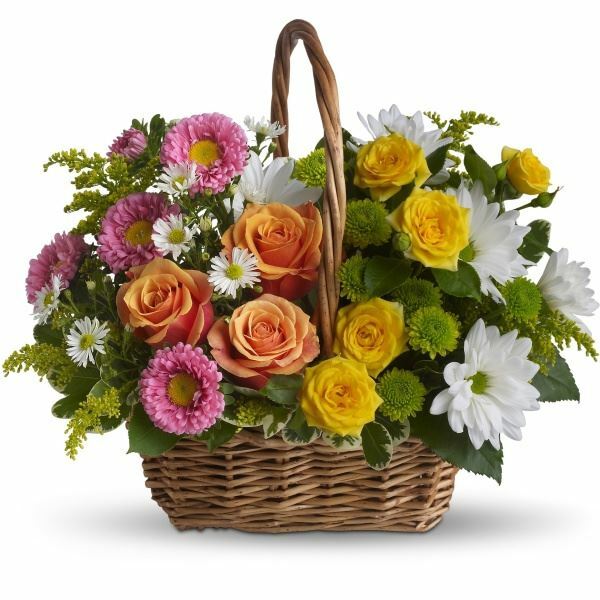 To send flowers in memory of Marilyn B. "Mum" Baldinucci-Miller, please visit our Heartfelt Sympathies Store. Joe and Kathy Baldoni and Family sent flowers to the family of Marilyn B. "Mum" Baldinucci-Miller. Our heartfelt prayers are with all of you!!! Your Mom will live on in our hearts and memories!!!! Marilyn was a great Mother, and Grandmother. Praying for everyone!!!! May GOD surround all of you with his Peace and Love!!!! Joe and Kathy Baldoni and Family purchased the Sweet Tranquility Basket for the family of Marilyn Baldinucci-Miller. Sending love, light and prayers to Aunt Marilyn and all those she loved and those who loved her. We were so saddened and shocked to hear of Aunt Marilyn passing and have nothing but warm and happy memories of her. I remember her visits to Newton NJ when I was little and will always remember her loving smile and welcoming hug when I saw her as an adult. She will be missed. Love to you all. All of us from Central Records will deeply miss Marilyn, she was truly a great person with a great heart and a wonderful sense of humor. Our favorite Marilynn quote will always be. Light on the Egg Salad when ordering an Egg Salad Sandwich from Pappas Pizza. We loved her and she will always be in our hearts and prayers. Rest In Peace dear Marilyn.